What Exactly is Vinyl Flooring? Vinyl is a synthetic man-made material that is a blend of chlorine and ethylene. This flooring type boasts a number of benefits and is best for homes with too many children as it is easy to clean. What are the Primary Benefits of Vinyl Flooring? Vinyl flooring offers a number of benefits. The vinyl tiles are available in different styles in order to complement various type of décors. This flooring is easy to install, easy to clean and in case of damage it can be repaired without any distress. They have super realistic look, especially the wood vinyl tiles. Furthermore, the best thing about vinyl flooring is that it is water resistant and scratch proof. Where at Home Should I Install Vinyl Flooring? Since the vinyl flooring is super durable, it is ideal for use at busy as well as non-busy areas of your home. This is why you can install them in super busy areas of your home like living room with full confidence. Due to their ability to withstand all kinds of liquid spills, the vinyl flooring can also be installed in kitchens and bathrooms. Does Vinyl Flooring Require Underlay? The primary purpose of an underlay is to provide protection to your sub-floor and to give extra comfort and insulation beneath the flooring. For majority of the vinyl flooring, an underlay is not to be used whereas for some types, you can install an underlay to ensure more comfort and convenience. When you go to buy vinyl flooring for your home, you should ensure that whether or not underlay is recommended for the product. How Hard-Wearing is Vinyl Flooring? There is no doubt about the durability and longevity of vinyl flooring. It is resistant to stains, scratches and moisture. The vinyl tiles can be fitted seamlessly into high traffic rooms of home where spills and moisture are quite regular things. 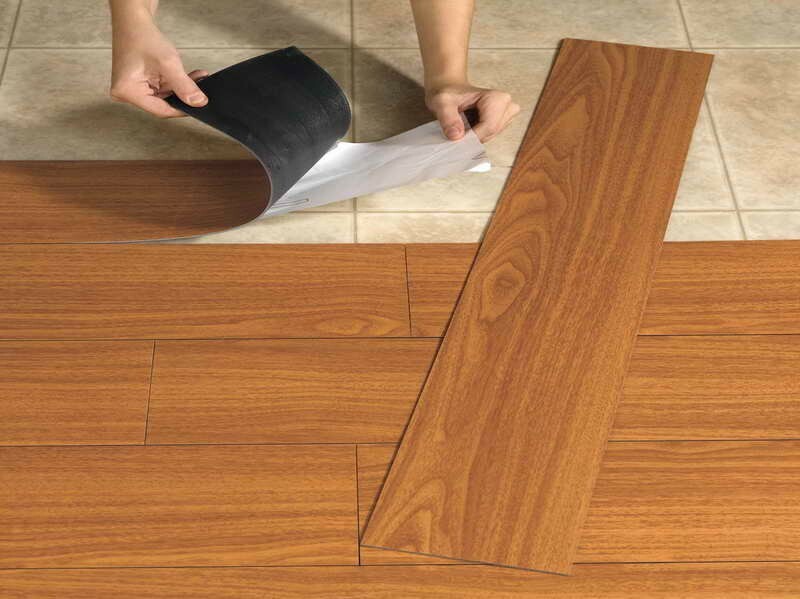 In case, a part of vinyl flooring gets damaged, it can be easily repaired as compared to most other flooring types. How Does Vinyl Flooring Feel Underfoot? Just like all other types of flooring, vinyl is designed to feel comfortable underfoot. If you choose a thicker vinyl flooring, it would surely offer more comfort. In case, you have opted for thin vinyl flooring, then you will have to install an underlay to get that super comfortable and soft feeling underfoot. As you install vinyl flooring in your home, it is important to know that it’s non-absorbent material so the spills must be cleaned up immediately in order to avoid damage and minimize the risk of slips. Moreover, any rugs or mats that are placed on vinyl flooring should be non-slippery to avoid slipping.